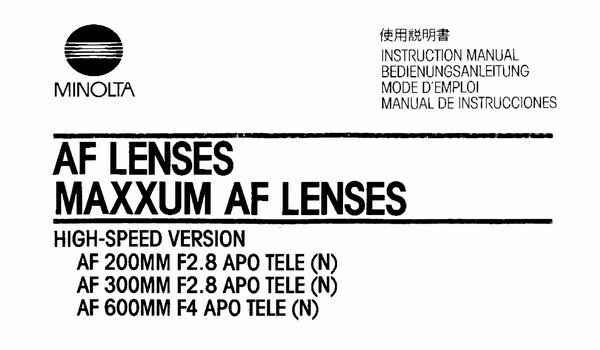 Below are scanned images of original Minolta AF lens manuals. I have English and French so far. 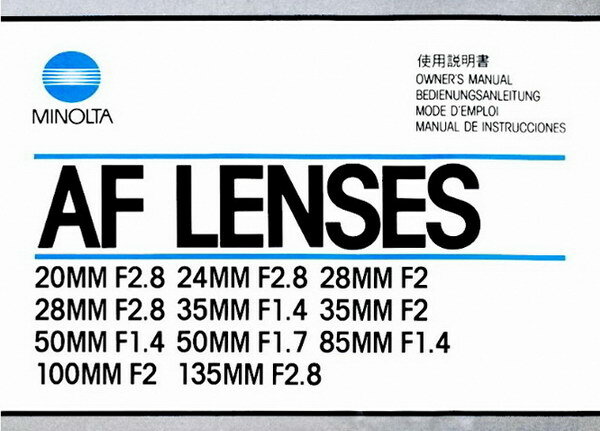 If you have original Minolta AF lens manuals in languages other than what you see here, or for different lenses, please email me if you'd like to help by sending scanned copies as PDFs. 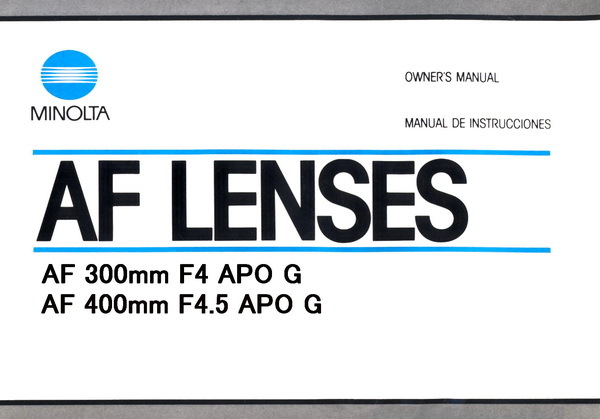 The Minolta AF lens manual front covers are shown below. 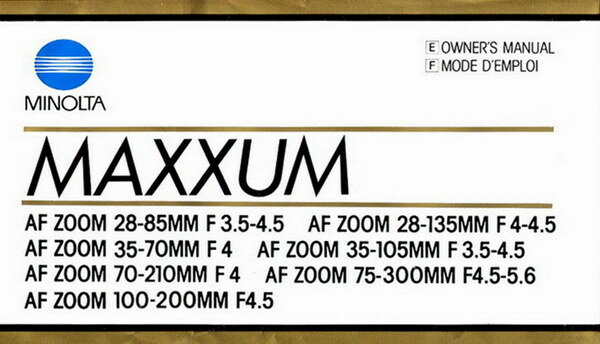 They have more than one lens per manual, because many are basically the same. There is no link on the cover image, but below each cover you'll see the different language versions, which is a link to a larger image. 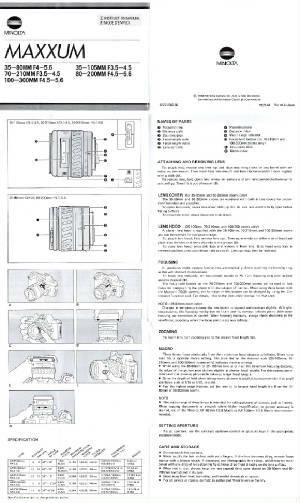 I'm showing the entire manual, both sides. One side is one language, the other side is a different language. 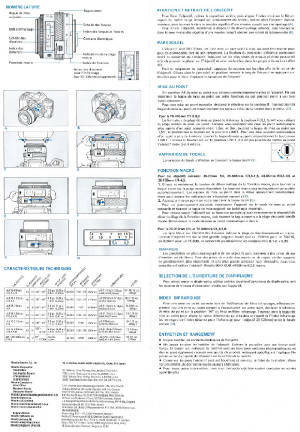 Konica Minolta Lens specifications guide from the early 2000s below. Click for larger image, (276kb). 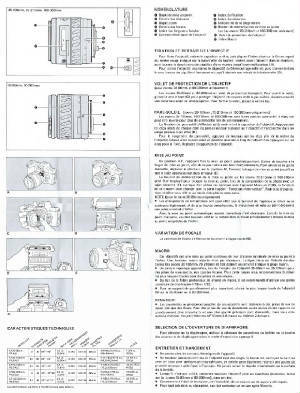 Manual for the Minolta AF 500mm F/8 reflex lens, dated 1989. 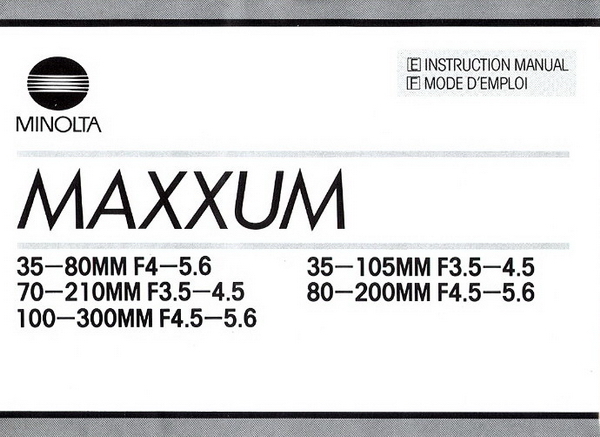 Both manuals are about 130kb. 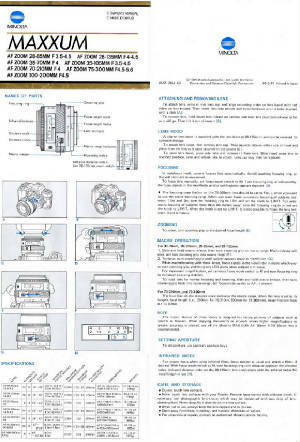 Minolta close-up lenses manual and application chart.